On April 26 the Lynn council approved for Central Sq Mt Vernon st the use of artist tents every Saturday and Sunday starting June 4. We have 10 new tents ready for use. Please call to reserve for FREE June and 50% July with regular rental price for August. We need painters, jewelry, crafts and musicians to make this a success. Please pass it on to every known artist website or group. My direct line is 888-214-4888. 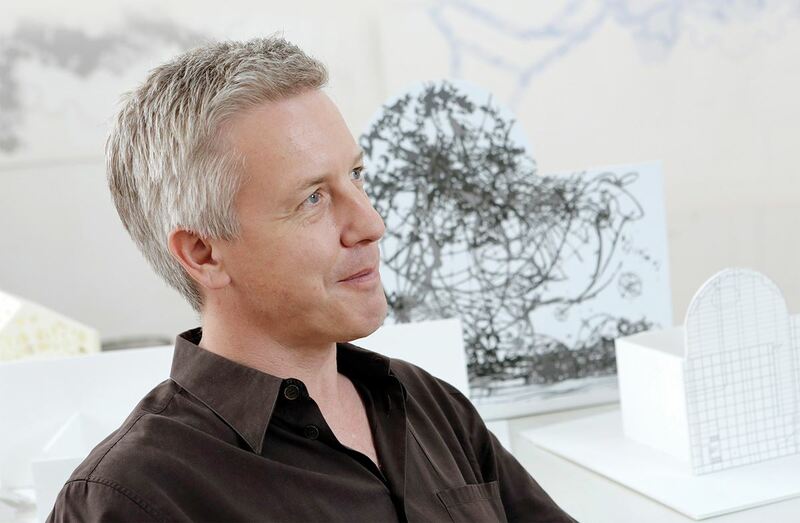 Montserrat College of Art would like to welcome the public to a free artist lecture by renowned New York-based interdisciplinary artist Matthew Ritchie on Thursday, May 12 at 6:30 p.m. at The Cabot Performing Arts Center, 286 Cabot Street, Beverly, doors open at 6 p.m. Following the lecture will be an Artist Reception with Ritchie’s work on display in Montserrat’s Carol Schlosberg Alumni Gallery, 23 Essex Street, 8 – 9 p.m. This event is sponsored by Eastern Bank and registration is requested by contacting gallery@montserrat.edu.Ritchie will also be the keynote commencement speaker and honorary doctoral recipient at Montserrat’s graduation ceremonies the following day. Ritchie’s paintings, installations and narrative threads delineate the universe’s formation as well as the attempts and limits of human consciousness to comprehend its vastness. His work deals explicitly with the idea of information being “on the surface,” and information is also the subject of his work. Ritchie's practice as a multimedia artist whose installations challenge established modes of contemporary art making provides an inspiring model. At a time when information becomes available at ever-expanding rates, his work both provocatively highlights that capacity and innovatively redefines visualization, installation, and modes of connectivity among a compelling range of sources. Matthew Ritchie was born in London, England, in 1964, and lives and works in New York. He received a BFA from Camberwell School of Art, London, and attended Boston University. His artistic mission has been no less ambitious than an attempt to represent the entire universe and the structures of knowledge and belief that we use to understand and visualize it. Ritchie’s encyclopedic project (continually expanding and evolving, like the universe itself) stems from his imagination, and is catalogued in a conceptual chart replete with allusions drawn from Judeo-Christian religion, occult practices, Gnostic traditions, and scientific elements and principles. See Ritchie’s work at www.matthewritchie.com. For more information and to register for this event, please contact Montserrat College of Art Galleries at gallery@montserrat.edu, 978-867-9624. Join us for an informal exchange about how to approach and market your work to commercial galleries. Facilitated by Marblehead Gallery owner, Gene Arnould and experienced artists. Montserrat’s diverse Summer Immersive courses are ideal for adult art enthusiasts of all backgrounds and professions to make the most of this summer learning new skills and insights. The program allows its participants to devote part of the summer to art in the unique environment that only a working art college can offer. The instructors hail from Montserrat and beyond, and are nationally and internationally recognized artist-educators who form the core of the unique, summer community of adult learners. Their expertise combined with small class sizes ensures an unforgettable experience. Affordable accommodation and optional evening activities foster a residential community of individuals who share the creative spirit and commitment. Montserrat is approved by the Massachusetts Department of Education as a Professional Development Provider. All courses are eligible for PDP awards. 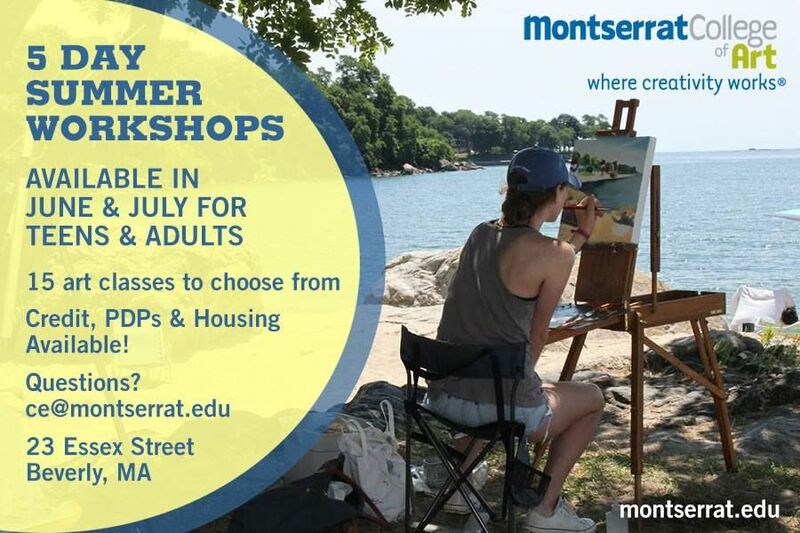 For more information about the offered courses, instructors or to register, visit: www.montserrat.edu/summer-immersive-workshops or contact Montserrat’s Continuing Education Office at ce@montserrat.edu or 978.921.4242 x1202. Discounted rates are offered to educators, seniors and Montserrat alumni. ArcWorks is looking for artists who are interested in teaching opportunities for one day workshops or weekly classes. We're open to exploring all mediums, from painting and photo to ceramics and jewelry or other handi-crafts. If you have a technique that you are willing to teach, please contact Emma by phone at 978.548.5855 or email to discuss the possibilities! Come to our studios and get to know the Artists; Photography, Mixed Media, drawing, Painting, Mosaics, Sculpture. An environment that is open and unintimidating. Small and large spaces available. Member News: Jeff Folger Photo is Cover of "The Salem Magazine"
Cover Of Salem's New Magazine from North of Boston Media Group "The Salem Magazine" by photographer Jeff Folger. Photographer Jeff Folger of Salem has been selected to herald the launch of Salem's new magazine. His image "Federal Street in Spring" will be the cover shot. The Salem magazine will be everything you want to know about the local area in and around Salem Massachusetts. Jeff Folger is a professional photographer and blogger in Salem Massachusetts. He retired from the Air Force and came to the notice of Yankee Magazine by winning their first ever Fall foliage contest. He was soon their first ever fall foliage blogger. Today he writes year-round about New England fall foliage on http://www.jeff-foliage.com. He provides tips on planning a fall foliage vacation and showing his award winning imagery of New England. 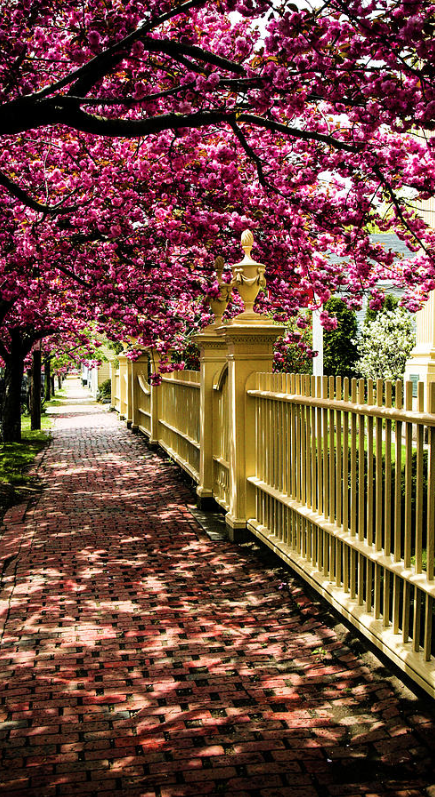 His image that will be on the first cover of Salem Magazine was taken on Salem's Federal historic street in springtime. A warm and sunny late april morning had all the trees along the entire street blooming. Salem Massachusetts was the 2nd town established in the Massachusetts Bay Colony in 1626. It led the way in trade and commerce in the building of the new country and today is a lovely stop for tourism outside of Boston. The first ever National Historic site in the National Park system was chosen to be Salem's maritime waterfront. Today about 120,000 visitors visit Salem each year. Kensington-Stobart Gallery in Salem’s historic Hawthorne Hotel announces an exhibition of works featuring paintings, fine art posters and works on paper from the vast collection of local historian Jim McAllister. Jim has been collecting art for more than two decades and is planning to sell much of his inventory in an attempt to reclaim living space in his domicile and shed his growing reputation as a hoarder. Twenty very reasonably priced pieces are now available for sale and others will be added over the course of the next month. The initial offering includes an oil painting of South Street in Rockport by Rosa Silva, works by Cape Ann artists Max Kuehne, Ann Fiske, and Charles Allan Winter, a pair of fine art posters, a number of watercolors related to the Massachusetts coast, and an eclectic assortment of other pieces. All are invited to stop by the gallery to view and enjoy this varied collection. The show runs from January 27th through February 29th. Gallery Hours: Monday through Friday, 10am-5pm; Saturday and Sunday, 12pm-5pm. For more information call, The Kensington-Stobart Gallery at 978-825-0022. This exhibition is free and open to the public. Montserrat College of Art (Beverly MA) is offering area residents an opportunity to brush up on their art and learn a new skill this spring through Montserrat’s Continuing Education classes during the months of February, March and April on Montserrat’s campus, 23 Essex Street, Beverly, MA. Subjects include Digital Photography, Portrait Painting, Drawing for Beginners, Oil Painting and Figure Drawing. 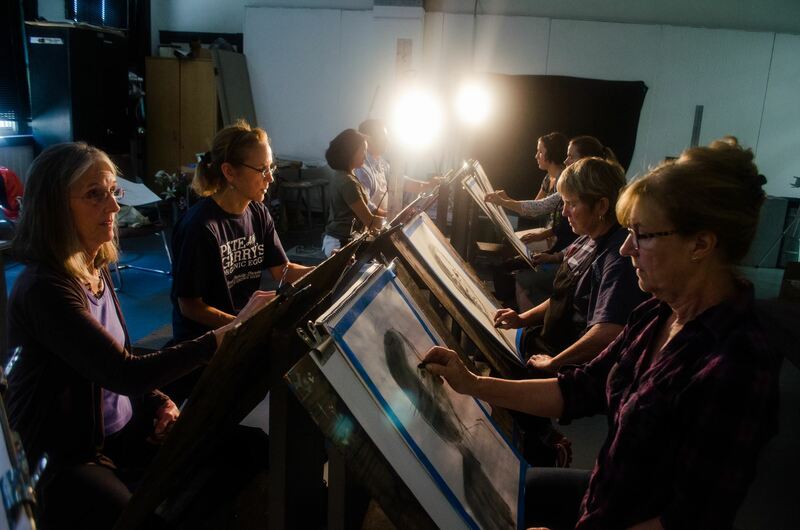 The Continuing Education program provides expert instruction within the visual arts for the North Shore community and beyond. It is designed to allow teen and adult participants time and instruction to delve into a new skill or subject. Small program sizes and a supportive environment allow students of all levels a conducive environment to explore, learn new skills and sharpen existing ones. Montserrat’s spring courses are ideal for teen and adult art enthusiasts of all backgrounds and professions to start the New Year with new skills and insights. For more information about Montserrat’s Continuing Education program, visit www.montserrat.edu/continuing-education or contact: ce@montserrat.edu, 978.921.4242 x 1202 to learn more. Applications due by noon, February 12, 2016. Season runs May 19-November 1, 2016. Mayor Kimberley Driscoll is looking for creative entrepreneurs to participate in the twelfth season of Artists’ Row, a City of Salem Arts Space Initiative. Artists’ Row is located in historic downtown Salem at 24 New Derby Street, across from Old Town Hall and Derby Square. This area at the heart of the City was originally built as a market place and continues to this day to be an important public plaza and pedestrian way. Artists’ Row is a seasonal program (May 19 –November 1, 2016) that provides space for artisans interested in building their audience through daily engagement with residents and visitors to Salem. The variety of activities considered for Artists’ Row spaces are to include all types of uniquely produced or crafted products that have appeal to a wide audience. Possible categories are handcrafted products, artwork and artisanal food products. The City is particularly interested in activities that will contribute to a lively activated passage that serves as an entryway to one of the central public spaces in downtown Salem. To create a lively atmosphere and add to the diverse cultural offerings available for residents and tourists visiting historic downtown Salem. To give individuals or partnerships an opportunity to share their unique products and artisanal practices with the public in an engaged retail environment. To offer cultural enrichment to the public in the form of free workshops given by participants about the materials and practices of the unique products sold. All creative entrepreneurs regardless of race, gender, belief, national origin, sexual orientation, or physical disabilities are eligible to apply. Participants of Artists’ Row will offer an interesting and diverse array of art and handcrafted products and use art to animate and engage community and neighborhood spaces. There are four (4) stalls available for licensing through this program: Stall #1, #2, #4 and #5 (refer to attached map for stall locations and sizes). Monthly Rental Fee: Stall #1 - $200.00. Stall # 2 $175.00. Stall # 4 - $150.00. Stall #5 - $100. No commissions are charged and participants retain 100% of sales from their products. City staff will offer assistance in finding resources to support participants’ businesses including practical business skills and financial management. Open to the public May 19 –November 1, 2016. By or before 12:00pm (noon) Friday, February 12, 2016. Hand deliver or mail completed applications to the Department of Planning & Community Development, Attn: Deborah Greel, City Hall Annex, 120 Washington Street, Salem, MA 01970. The application form must be completed in its entirety and is available at http://www.salem.com/artists-row. A public site visit and informational meeting with program goals, expectations for operations and submission requirements, is scheduled for Saturday, January 9, 11am (or by appointment). Those interested in participating in the program should arrive at Artists’ Row (24 New Derby Street) at that time and date. All work MUST be created by the individuals participating in the program and must be original handcrafted works or products. Mass produced or manufactured works are not acceptable (sales representatives and agents are not eligible). All prices for artwork or handcrafted products MUST be visible to the public. Participants are responsible for collecting sales tax. Selected participants are responsible for transporting all products, support material and equipment to and from the site, and for all installation, display and sales. Art stalls MUST be open to the public Mondays, Wednesdays, Fridays, Saturdays and Sundays. Hours: From noon to 6:00pm, Monday, Wednesday & Sunday. Noon-7pm, Thursday – Saturday. Participants are encouraged to stay open more than the required days and times. Selected participants will be required to sign a License Agreement with the City of Salem. Selected participants are required to provide a $500 security deposit for the use of one stall. The security deposit will be refunded at the end of the season if the stall is returned to the City in a reasonable condition and all program requirements are satisfied. Selected participants are responsible for securing his or her own Liability Insurance. The City of Salem is not responsible for damage to work caused by the elements, theft, or vandalism. Selected participants shall be responsible for payment of electricity, and if desired, phone and internet service. Selected participants MUST attend mandatory monthly meetings with the City’s Program Manager, which typically occur the first Thursday of each month at 10:00am at City Hall Annex, 120 Washington Street, 3rd floor conference room. At the end of the 2016 Season, participants are responsible for removal of all their work, equipment, furnishings and for cleaning art stall prior to final inspection by the City’s Program Manager. All participants MUST vacate stalls by November 9, 2016. All participants MUST provide a minimum of twelve (12) FREE workshops, demonstrations, and/or performances to the public throughout the 2016 season. Participants are responsible for staffing, supplies, marketing and outreach for the programming. Collaborations with other participants to present workshops and performances that tie into Salem events are encouraged. Participants are encouraged to think of fruitful partnerships with local businesses, cultural institutions, and non-profit organizations in order to achieve their community engagement goals; the City will support them in reaching out to potential partners. Vending Program on the Row: The City invites juried artist/vendors for a fee to showcase and sell their work at designated days and areas on Artists’ Row. Products include fine art, including but not limited to photography, sculpture, digital prints and handcrafted products made by the exhibiting artist, artisan, crafter, and designer. Selected participants are responsible for the costs associated with the fabrication and installation of an exterior business sign. Exterior business signs can only be installed on the existing sign pole and the design and layout of the sign MUST be reviewed and approved by the City of Salem Redevelopment Authority and its Design Review Board, prior to fabrication and installation. To promote Artists’ Row businesses and workshops/performances, and events, examples of marketing materials may include but not limited to: posters, rack cards, social media, and press release to local media. Every Thursday from June 19 – October 20, 2016 from 3:00pm to 7:00pm vendors associated with the Salem Farmers’ Market set up in various exterior locations at Artists’ Row. It is anticipated that up to six (6) such vendors will be accommodated without interfering with artist’s dedicated outdoor vending space, during market days. Quality of products and uniqueness of materials and/or methods. Appropriateness and scope of appeal for Artists’ Row setting and an audience of diverse ages and backgrounds. Variety of products among the four spaces within the City’s goal of selecting diverse representation of cultures, products, or styles. Quality of interactive workshops and/or performances for the general public. Potential of participants’ work to contribute to a lively atmosphere in a marketplace area and be a vibrant part of daily life in the City. Ability to work well with other participants in a group setting. The Public Art Commission will evaluate proposals and select participants for the 2016 Artists’ Row Season. Notification will be sent no later than February 23, 2016. Detailed description of work you are presenting/selling, the number of participants in your groups and the proposed name of your enterprise. Description of the free community workshops, demonstrations, and/or performances you plan to provide to the general public. Must provide a minimum of twelve (12) with appeal to all ages and backgrounds. Physical plans for the stall you are looking to occupy, including the equipment you would be bringing into the space and any proposed interior improvements. Suggested Retail Prices and corresponding number from photo list. For information regarding the Artists’ Row Program, please contact Deborah Greel at the City of Salem Department of Planning and Community Development at 978-619-5681 or dgreel@salem.com or visit http://www.salem.com/artists-row.